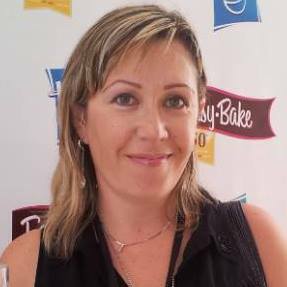 My name is Irina and I’m the owner/operator of The Big Apple Mama Blog. Thanks for considering partnership with me. I love to cook, travel and entertain. I do my best to lead a happy and healthy lifestyle. Here at The Big Apple Mama, I talk about vegan and low carb recipes, healthy & fit guides, Travel and more. Please email me: [email protected] No one other than me, Irina Davey, can discuss placements or sponsored posts or agree to do review/video. See below for more info and how to work with us. I’m on Twitter (over 18,000 followers) where I have been paid a Twitter panelist and co-host. I have worked with Neutrogena, Kohl’s, Intel, BestBuy and more. See more About Me. Email Irina, [email protected] for rates and additional information. My recipes and blog were featured at Good House Keeping, Delish.com, Red Book Mag, ELLE, Cosmopolitan, Woman’s Day, Country Living, Yahoo, MSN, Woman’s World, CBS Local, Teen Vogue, HNGN (Headlines and Global News) and many more!! As part of my collaboration with Panasonic home, my recipes and my blog was featured on NASDAQ Billboard on Times Square, NYC for 7 days. I was wondering if you are accepting guest or sponsored posts on your blog?